Tyson Fury finally made his return to the ring this month. The former unified heavyweight champion had been inactive for a long time due to a battle with depression and addiction. Fury was praised for coming back from the brink and getting back in fighting shape. However, his return bout against Sefer Seferi was heavily criticised. Seferi was clearly totally out of his depth, so much so that Fury barely had to try. There was a distinct lack of jeopardy to the bout as the two talked to each other throughout. They even stopped fighting to watch a crowd fight. 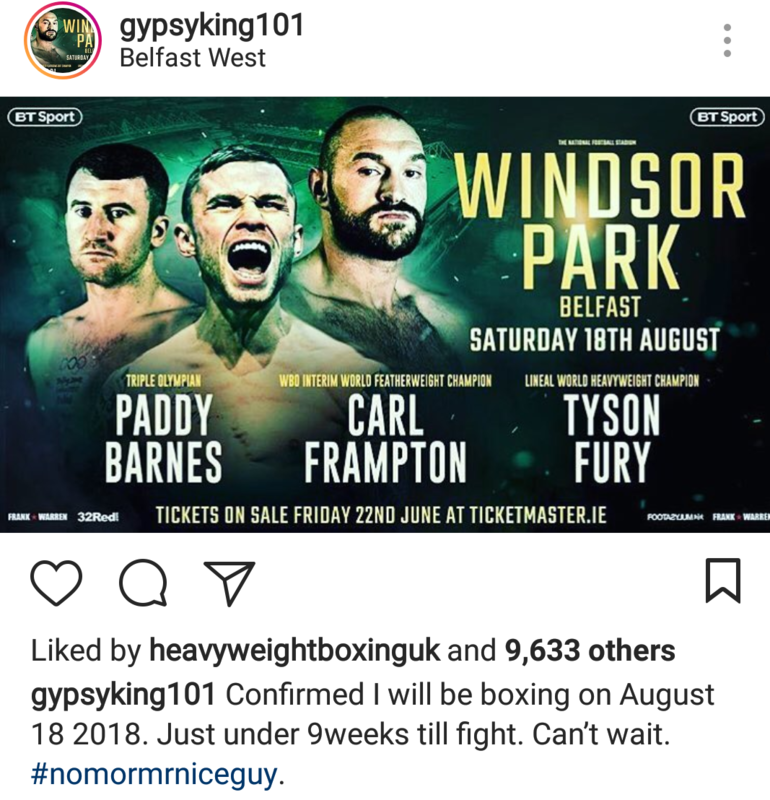 Fury has decided to make a fairly quick turn around because he has confirmed on Instagram today that his next fight is on August 18th. Fury will fight on Carl Frampton’s undercard. The critical reaction to Fury vs Seferi might be partially responsible for the quick turn around. Especially because he captioned the post with #nomoremrniceguy. Fury’s return from mental health issues and an extreme low point is admirable. Although the Seferi fight was lackluster, you cannot expect much else in his first fight back. I look forward to seeing Fury back at his best against big name opponents.